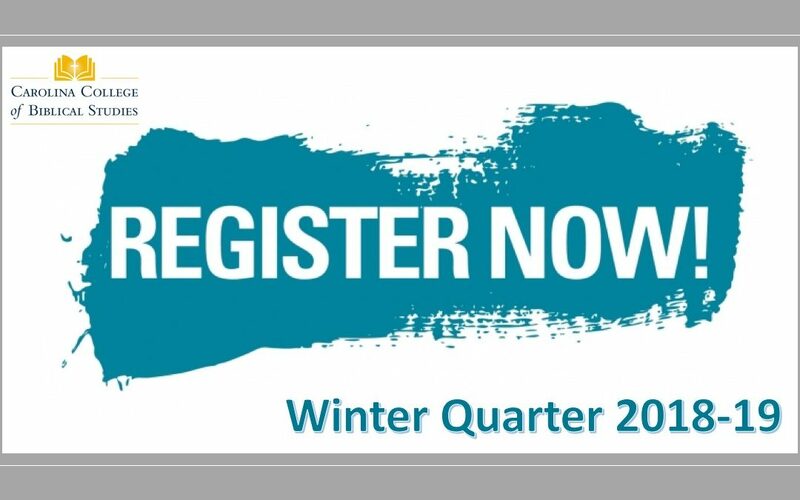 The Winter Quarter 2018-19 Schedule is now available at Carolina College of Biblical Studies. Check out the wide array of classes available at www.ccbs.edu/schedules. We also offer courses in a variety of formats, including seated, online, and extension sites. Seeking a degree, then you can sign up for “credit” classes. However, if you only want to take a class for personal enrichment or continuing education credit, sign up to “audit” a course. Did you know that CCBS is an approved site for Association of Christian Schools International CEU credits? We are! Hello. I want to know if we are transferring to the College can we register during the early registration or do we have to wait. There is a lock on my registration is the reason I am asking. Also do I need to come I to speak to an advisor. Thank you and have a great day.